DHL Western Province took a big leap toward securing home ground advantage in the Currie Cup semi-finals, as the Vodacom Blue Bulls remained in contention for a top-four spot and the Toyota Free State Cheetahs dropped out of the race in a decisive weekend of action. 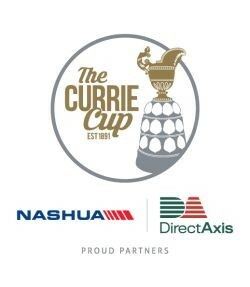 Defending Champions, DHL Western Province, and the Cell C Sharks – who had a bye this weekend – are now the only undefeated teams in the competition, which is sponsored by DirectAxis Financial Services and Nashua. The Capetonians blew the Xerox Golden Lions off the park at Emirates Airline Park in a 103-point thriller, with DHL Western Province outplaying their Johannesburg rivals 65-38. Such was the high quality of their attack, they scored an impressive nine tries – five in the first half – with man-of-the-match, Dillyn Leyds, and Sergeal Petersen each scoring twice. The hosts fought back with intent after the break to add 28 points to their score, but they were unable to contain the visitors on defence, and suffered their first defeat of the season. The Vodacom Blue Bulls started their clash against the iCOLLEGE Pumas in Pretoria with a bang knowing that a bonus-point victory was vital to remain in contention for a semi-final berth, and they crossed the tryline three times in the first 21 mins. They wrapped up their bonus-point before halftime thanks to Jade Stighling’s second five-pointer. The Mpumalanga outfit fought hard to stay in the match and they succeeded in earning a bonus-point for tries on the stroke of fulltime, but the damage inflicted by the hosts in the first half was enough for a 39-29 victory. In Kimberley, Tafel Lager Griquas delivered a superb second-half display to overpower the Toyota Free State Cheetahs 52-24 for their first victory of the season. The result left the men from Kimberley with a slim mathematical chance of advancing to the semi-final in the next few weeks, while the defeat for their Bloemfontein neighbours eliminated them from the race. The home side trailed 24-14 at halftime, but they burst into life after the break and scored five tries, while denying their central counterparts from adding to their score for the rewarding victory. FP Pelser and George Whitehead proved to be key figures, contributing two tries, and 17 points from the boot respectively. 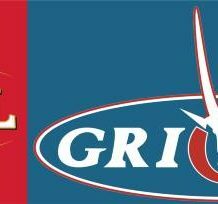 Tafel Lager Griquas – Tries: Ederies Arendse, FP Pelser (2), Enver Brandt, AJ le Roux, Kyle Steyn, Zak Burger. Conversions: George Whitehead (7). Penalty Goal: George Whitehead. Toyota Free State Cheetahs – Tries: Ali Mgijima, Carel Coetzee (2). Conversions: Ernst Stapelberg (3). Penalty Goal: Ernst Stapelberg. Xerox Golden Lions – Tries: James Venter, Pieter Jansen, Hacjivah Dayimani, Len Massyn, Penalty Try. Conversions: Shaun Reynolds (4). Penalty Goal: Shaun Reynolds. DHL Western Province – Tries: Dillyn Leyds (2), SP Marais, Sergeal Petersen (2), Joshua Stander, Juarno Augustus, JD Schickerling, Daniel du Plessis. Conversions: SP Marais (7). Penalty Goals: SP Marais (2). Vodacom Blue Bulls – Tries: Dayan van der Westhuizen, Hanro Liebenberg, Ivan Van Zyl, Jade Stighling (2), Jano Venter. Conversions: Manie Libbok (3). Penalty Goal: Manie Libbok. iCOLLEGE Pumas – Tries: Marko Janse van Rensburg, Marnus Schoeman, Neil Maritz, Morne Joubert. Conversions: Chris Smith (3). Penalty Goal: Chris Smith. Victories by the SWD Eagles, Boland Cavaliers and Border Bulldogs breathed a new life into the Currie Cup First Division – also sponsored by Nashua and DirectAxis Financial Services – as only five points separate the log-leaders from the fifth-placed team as the final stages draw closer. The SWD Eagles leaped into the top spot on the log temporarily after staging a dramatic second-half comeback against the Hino Valke in Kempton Park from 22-12 down to win 36-34. Both teams scored six tries, but an extra conversion by SWD was the difference on the scoreboard in the end. A penalty goal by Boland’s Damian Stevens was also decisive in their 48-45 victory against the Down Touch Griffons in Welkom, as both teams scored seven tries and kicked five conversions. The hosts dominated proceedings in the first half and led 21-7, but Boland regained their composure after the break and stamped their authority for the vital away-win. Braces by the Border Bulldogs’ Sipho Nofemele and Soso Mqalo steered the team to them to back-to-back victories as they defeated Eastern Province 39-26 in East London. Their fine attacking display earned them seven tries, while their Eastern Cape neighbours salvaged a bonus point thanks to their four tries. Hino Valke – Tries: Sikhumbuzo Thabo Mabuza, Anrich Richter, Etienne Taljaard, Lundi Ralarala, Don Mlondobozi, Andries Truter. Conversions: Anrich Richter (2). SWD Eagles – Tries: Ruben Schoeman, Marlo Weich, Leighton Eksteen, Dewald Dekker, Kirsten Heyns, Ganfried May. Conversions: Divan Nel (3). Down Touch Griffons – Tries: Thato Mavundla, Cody-Anthony Basson (2), Japie Nel (3), Nkululeko Marwana. Conversions: Duan Pretoruis (5). Boland Cavaliers – Tries: Tapiwa Tsomondo, Kenan Cronje, Zande Jordaan, Elgar Watts, Valentino Wellman, Charles Mayeza (2). Conversions: Elgar Watts (5). Penalty Goal: Damian Stevens. Border Bulldogs – Tries: Sino Nyoka, Sipho Nofemele (2), Soso Mqalo (2), Bangi Kobese, Lutho Adonis. Conversions: Dilolo Mapuko, Bangi Kobese. Eastern Province – Tries: Zingisa April, Ivan Du Preez, JP Jamieson, Riaan Arends. Conversions: Henrique Olivier, Ruben De Vos (2).